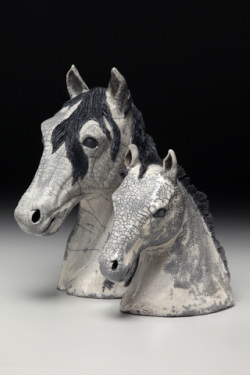 raku fired mare and foal horse heads 19" x 16" x 8" and 13" x 11" x 5" $3000. What gorgeous creatures horses are! The beauty and life they bring inspires me to sculpt them. 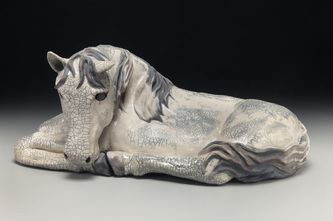 Raku fired with a white crackle glaze, each piece is handmade and unique. 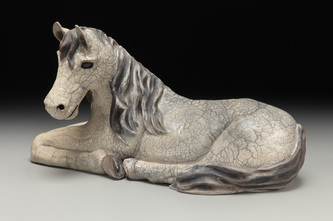 Prices subject to change and sizes and coloration vary.